General Motors on Nov. 26 announced it will halt production at five plants in North America and eliminate 15 percent of its salaried workforce as part of a massive restructuring plan. GM said it expects the plan to boost its annual free cash flow by $6 billion by the end of 2020. The automaker said production will be “unallocated” at its assembly plants in Detroit; Lordstown, Ohio; and Oshawa, Ontario. GM also announced plans to cease production at its transmission plants in Warren, Michigan; and White Marsh, Maryland. As part of the reorganization, GM said it will reduce salaried and salaried contract staff by 15 percent and reduce executive positions by 25 percent. The plan will eliminate more than 14,000 white-collar and blue-collar jobs, according to news reports. GM’s decision to halt production at three of its North American assembly plants reflects consumers’ ongoing shift from sedans to crossovers, SUVs and trucks. 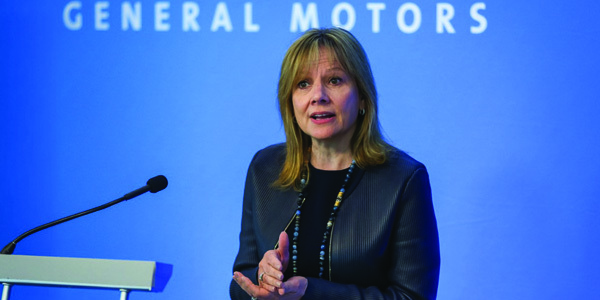 During the conference call, Barra estimated GM’s capacity utilization at its North American plants is around 70 percent. The Lordstown assembly plant, which only produces the slow-selling Chevrolet Cruze, will cease production on March 1, 2019. The plant employs 1,435 hourly workers and 183 salaried workers, according to GM. 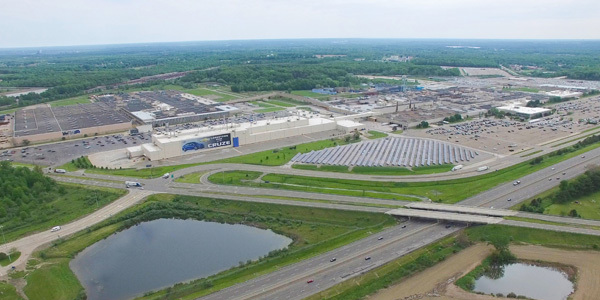 The Detroit-Hamtramck assembly plant will halt production of the Buick LaCrosse and Chevrolet Volt on March 1, and will cease production of the Cadillac CT6 and Chevrolet Impala on June 1. The plant employs 1,348 hourly workers and 194 salaried workers, according to GM. “We are taking these actions now, while the company and the economy are strong, to stay in front of a fast-changing market and to capitalize on growth opportunities as we push to achieve a vision of a world with zero crashes, zero emissions and zero congestion,” CEO Mary Barra told investors. The Oshawa assembly plant, which employs 2,600 hourly workers and 300 salaried workers, will shut down in the fourth quarter of 2019, according to the automaker. GM’s transmission plant in Warren, Ohio, will shut down on Aug. 1, while its transmission plant in Baltimore will stop production on April 1, according to the automaker. In addition to the previously announced closure of the assembly plant in Gunsan, Korea, GM announced it will cease the operations of two additional plants outside North America by the end of 2019. Part of GM’s restructuring plan includes a focus on global product development. Initiatives will include increasing component sharing, using more virtual tools to cut development times and costs, and integrating vehicle and propulsion engineering teams, the automaker said. In the next two years, the automaker said it expects to double its engineering resources dedicated to electric and autonomous vehicles. “We will continue to maintian our strong lineup of crossovers, SUVs and trucks,” Barra added. GM’s assembly plant in Lordstown, Ohio, which makes the Chevrolet Cruze, is slated to cease production on March 1, 2019. In a Nov. 27 tweet, President Trump said he is considering cutting all subsidies to the automaker.